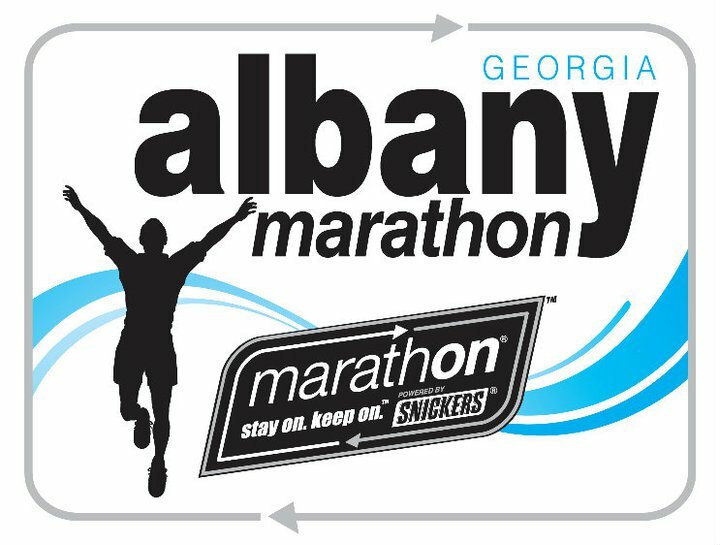 Chris Zablocki, medical student and man of many marathons, returned to Albany, Georgia on Saturday morning, 5 March 2016, to score his second win in a row at the annual Snickers® Marathon. It was Zablocki's third appearance, second win, and fastest time yet at the 26.2-mile Albany race. 20-year-old Kenyan athlete Cynthia Jerop took the women's title, placing ninth overall in 2:50:34. 586 marathoners finished the race. Behind Zablocki, a pair of athletes from the notorious Hebron, Kentucky training colony grabbed the next two places--Sergey Zrianov was third in 2:19:13 and Kennedy Kemei third in 1:22:48. Albany's Patrick Whitehead was the top hometown finisher; the Darton College professor placed eleventh overall in 2:52:47. Igor Kulchytskyy of Suwanee, Georgia was the fastest master runner in the marathon, finishing 15th overall in 2:56:56. Natasha Yaremczuk-Baskin of Orlando, Florida's Cat One Fitness was the women's runner-up, placing tenth overall in 2:52:37. Erika Shaughnessy from Hilton Head Island, South Carolina was third in the women's standings, coming in 31st overall in 3:08:19. John Creek, Georgia athlete Gail Rich Nestor was the top woman master and fifteenth female finisher, 112th overall in 3:30:01. Clermont, Georgia's Quintin Miles (one of the better names for a distance runner) won the half marathon event, covering the 13.1-mile course in 1:14:02. Miles is a 2015 alumnus of the North Hall High cross country team. Lucas Stocks took second in the less-lengthy event, running 1:18:44. Atlanta's Peter Kotchen was the fastest master runner in the half, placing third overall in 1:19:38. Former Georgia Tech cross country runner Kelly Meyer won the women's title in the half marathon, coming in third overall in 1:18:52. Albany's own Jennifer Perkins was the second woman in the 13.1-mile race, finishing ninth overall in 1:26:13. Blakely, Georgia's Ann Centner was third in the women's standings, placing twelfth overall in 1:26:36. Porterdale's Tracy Ashall took top master honors in the women's division, finishing as the fifth female and nineteenth overall in 1:31:25. 728 athletes completed the half marathon. 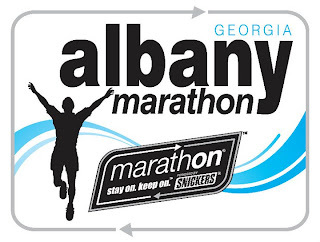 Event Technical Services of Sylvester, Georgia provided timing for the 2016 Snickers® Marathon and Half Marathon.